Napoleon Dynamite’s older brother “Kip” isn’t the only one who loves technology — most of us do. In fact, many people are quite addicted to their gadgets and phones and pads. I’m guilty of surfing the net, or checking my email with my smart phone, even on hikes from the middle of the woods. With wider use and portability, we’ve now got an increasing amount of options for protecting our “techy” toys. Good news for Apple iPad owners, those handy little genre-bending devices. OtterBox now makes cases for your toy. 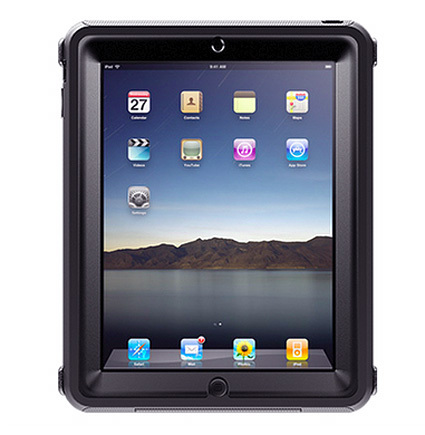 The Defender has a polycarbonate cover that snaps over the face of an iPad for stowing it away or for travel. 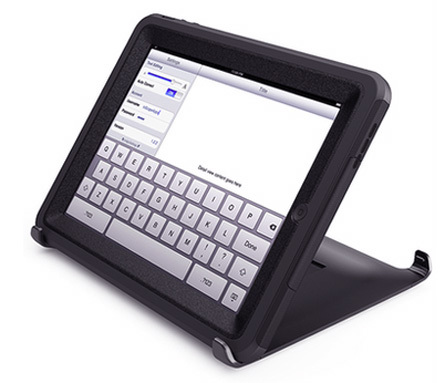 A built-in stand allows the iPad to sit upright for viewing. The Commuter Series case, $64.95, is more minimal and sleek, but as such, less protective. It comes with a clear, self-adhering film for screen protection and has a removable panel for the option of using the iPad dock. Both cases offer dust protection. 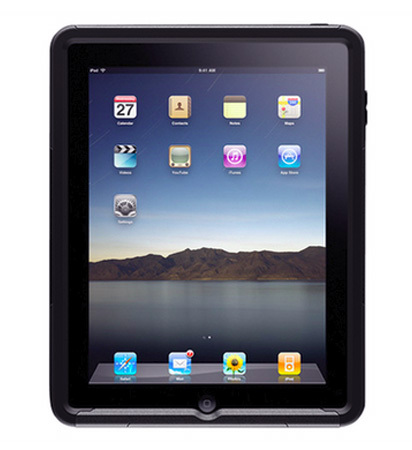 They have features like silicone grip pads to keep your iPad in place and silicone plugs to cover the ports. But OtterBox specifically notes that the cases are not made for water protection, so keep ‘em out of the rain. We reviewed an OtterBox phone case earlier this year, and I’m happy to report that the phone continues to live, due largely to my OtterBox Impact Series phone case. Those few hard tumbles would certainly have killed it by now. And if I had an iPad, I’d get it into an OtterBox case straightaway.